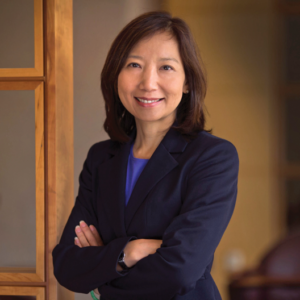 Sandy Leung is the General Counsel and Corporate Secretary of Bristol-Myers Squibb. She leads the worldwide Law Department and is responsible for a wide range of legal and regulatory areas including intellectual property, regulatory law, litigation, environmental, health & safety, corporate security, corporate philanthropy and transactions including licensing, acquisitions and divestitures. She serves as the primary legal advisor to Bristol-Myers Squibb’s board of directors. Sandy joined Bristol-Myers Squibb in 1992 as a staff attorney in the litigation department. She was promoted to positions of increasing responsibility and was elected Corporate Secretary in 1999. In September 2006, she was appointed Interim General Counsel. In February 2007, she was promoted to her current position. Sandy began her legal career as Assistant District Attorney at the Manhattan District Attorney’s Office in New York City where she was an original member of the Child Abuse Bureau. She ended her prosecutorial career, after trying more than 40 jury trials to verdict, as a member of the prestigious Homicide Investigations Unit where she conducted investigations of unsolved homicides linked with drug gang activity. Sandy is on the board of directors of the Asian-American Legal Defense and Education Fund and the Leadership Council on Legal Diversity. She is also a trustee of the NALP Foundation. Sandy is a graduate of Tufts University and Boston College Law School.